The most competitive online mortgage brokers are just itching to give you a better rate. But many lenders won’t let them. In other words, the lender limits how much a mortgage broker can reduce your interest rate by giving up some of their commission. Suppose a lender is offering brokers a 5-year fixed rate of 3.49% paying 100 basis points of commission, with a five basis point buydown limit. That means the broker can buy your rate down to 3.44% (but no more) and earn about 80 basis points of commission ($800 on a $100,000 mortgage). But what if that broker wants to give you 3.39% instead? The rebate should be equivalent to the money you’d save over five years (since it’s a five-year term) if your rate was five basis points lower. The payment is higher because mortgage payments are never based on effective rates. Payments are generally based on a mortgage’s contract rate. The problem occurs when you run into a broker who’s mathematically challenged. We’ve seen some brokers quote cashback effective rates with drastically insufficient rebates. In one case, the broker calculated the rebate as the rate difference (e.g, 0.05 percentage points) multiplied by the mortgage amount. In this case, the cash rebate approximated the interest savings over just one year, despite the mortgage being a five-year term. What a scam. B) The broker’s advertised effective rate. 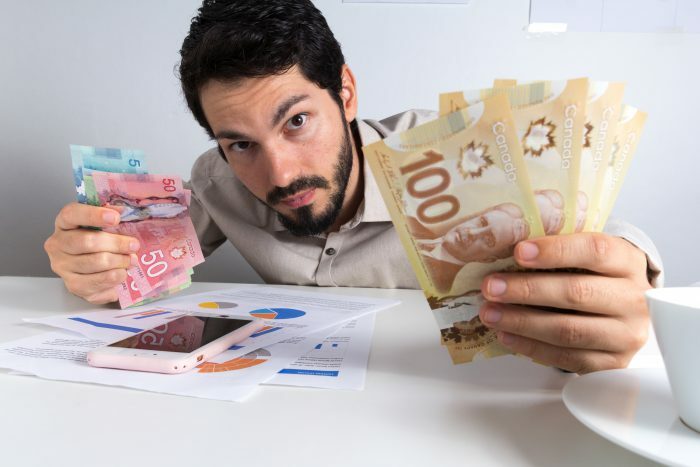 To do that, you must compare the cash flows of each mortgage (i.e., all the payments at 3.44% versus all the payments at 3.39%), including the ending balances. You must then discount all the cash flows of each mortgage to present value and compare those two values. The difference is how much money you should be receiving on closing, to make up for the contract rate being higher than the advertised rate. If your eyes are starting to glaze over, fear not. The Spy has built this Mortgage Rate Comparison Calculator to make it easy. In a few seconds, this calculator tells you how much cash you should expect from a broker who quotes a lower rate than the lender’s actual contract rate. 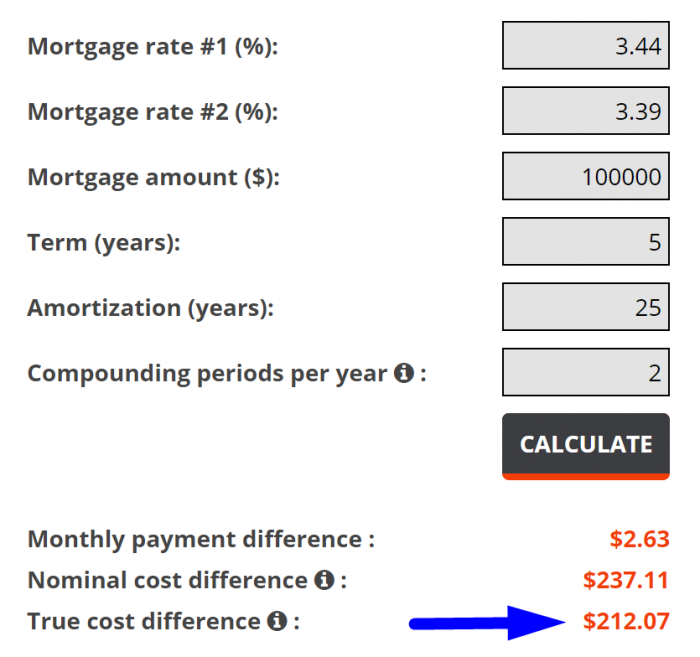 Put another way, it tells you the true cost difference between any two mortgage rates. So, if you see a broker out there offering a cashback effective rate, do yourself a favour and check their math. 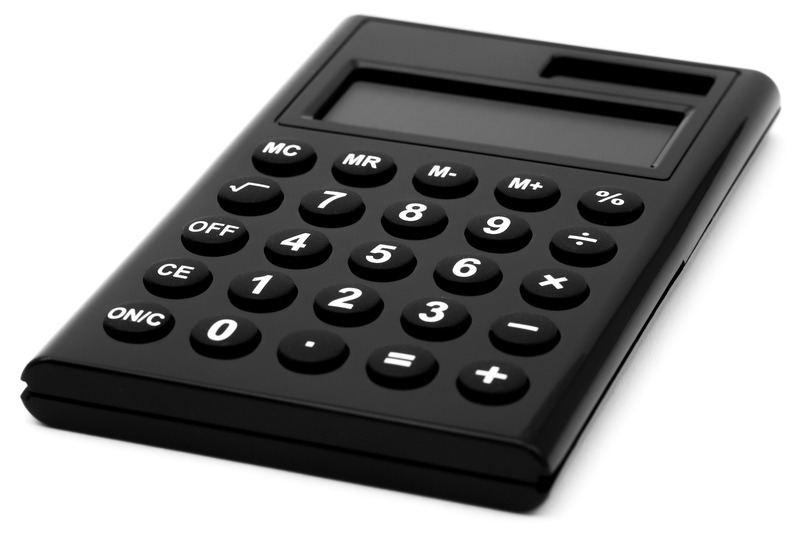 Compare the cash rebate they quote you to the rebate this calculator returns. If the rebate they’re offering is materially less than what you see in our calculator, they’ve potentially either made a mistake or they’re trying to cheat you. Amazing. Appreciate knowing the inner workings.